Open March 2019 through December 2019. 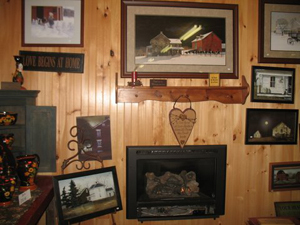 A family owned and operated business since 1975 the Schilde family welcomes you to visit and enjoy the bounty of each new season. The family grows and tends their greenhouses starting in early March through July. 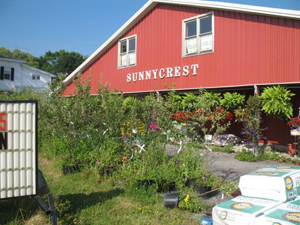 They offer a wide variety of annuals, perennials, herbs, custom made hanging gardens and baskets,vegetable plants, fruit trees and bushes, rose bushes and more. 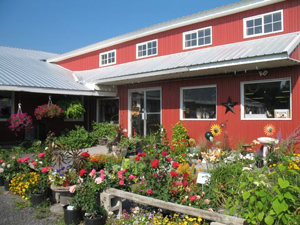 The garden center provides a large selection of products to successfully nurture your garden and decorate your home or business. 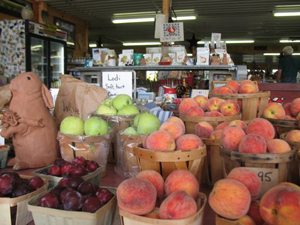 The farm market boasts local fruits and vegetables in season. Starting in July PA Peaches, local sweet corn and seasonal fruits and vegetables. Fall brings apples and sweet cider, homebaked pies and cider donuts on the weekends, pumpkins, squash and gorgeous fall mums. Stop in for a taste of our Sharon Springs Farmer Girl Vinegars. All natural, unfiltered Apple Cider Vinegars made right here on the farm! Open daily 9 AM-5PM March through December – except Easter and Thanksgiving.